When booking a room airport parking can be as low as £3.50 per day. No more waiting for a scheduled bus service as transfers to and from the airport are included in the price saving up to £14 each way. Oakhurst bed and breakfast and parking have been operating for 14 years and have an outstanding record of customer satisfaction. 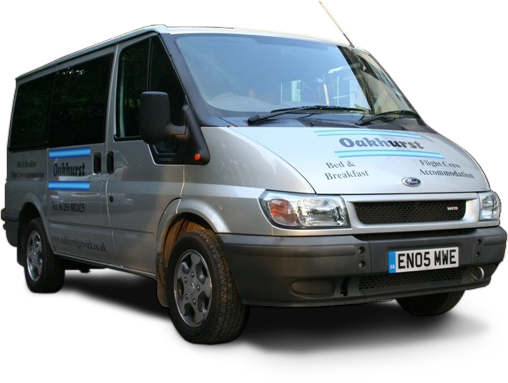 Parking is in our private grounds within 5 minutes of Gatwick airport. Cars are kept to the rear of the property on firm ground behind gates. Transfers operate between 06:00 and 20:00 hrs. Bed and breakfast rooms are at this location if required. Keys will need to be left with us. On your return just call us for collection instructions. Minimum cost of 5 days. call: 01293 882425 to book or contact us using the details on our contact page.